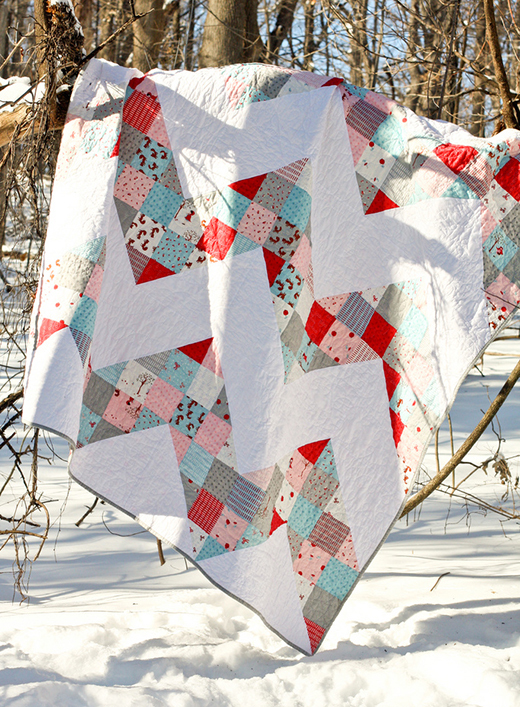 This Patchwork Chevron Quilt Designed by Jeni Baker of In Color Order, The Tutorial is available for free. "I'm very excited to be sharing a modern patchwork quilt tutorial with you today, the Patchwork Chevron! I had a lot of fun working on this quilt! It features giant patchwork half-square triangles and finishes up at 78"x78"."